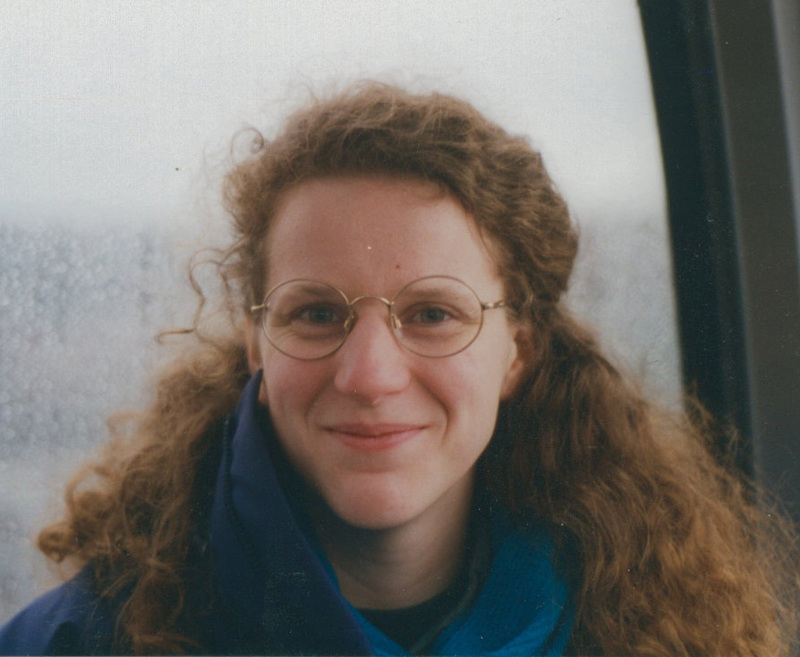 Nicola Talbot is a LaTeX user, teacher, and package writer. Dave Walden, interviewer: Please tell me a bit about yourself personally, independent of the TeX world. Nicola Talbot, interviewee: I'm third of six children. My father was British (he died in 1994), my mother is British, but was born in Brazil. Her father was a British ex-pat who lived in Brazil after his father (a merchant captain) was shipwrecked off the coast of South America, and her mother was a Belgian emigré, so I have family dotted about the world (Belgium, Brazil and even as far away as Fiji.) My mother's family moved back to England in 1963, but I've been able to visit some of the family who stayed behind, and some of them have come over to visit us. I am married to Gavin Cawley (a lecturer at the University of East Anglia) and we have a seven-year-old son Cameron who has a mild form of autism. I studied mathematics at the University of Essex (where I met Gavin), and then went on to do a PhD in electronic systems engineering, which involved maths and computer simulations, no actual practical electronics. I then worked at the Institute of Food Research for what was then the Ministry of Agriculture Fisheries and Food and also for a European Union collaborative project, but I gave up full time work when Cameron was born. DW: Please tell me how you first got involved with TeX. NT: I've always liked writing novels in my spare time, and I switched from a typewriter to a word processor on an Acorn Electron in the late 1980s (I was well chuffed when I went from using a cassette to using an external floppy drive) which was fine for writing stories, but the technical reports I needed to write for my PhD required a lot of maths, and the word processor just wasn't up to it. Gavin was in the year above me, and he had started writing up his thesis using TechWriter (on an Acorn Archimedes) but it caused him so much hassle that he decided to look into LaTeX. He decided to buy Leslie Lamport's book, and installed ArmTeX. This was back in the early 1990s, so it was LaTeX_tie()2.09, but I realised that it was exactly what I needed, so when I got my own Archimedes, I switched over to it. I was very glad that I did (not only from the typesetting point of view) as I accidentally deleted my PhD thesis, but because the source code was in an ASCII file, I was able to dump all the free disk space into a file, and I was able to restore it, including all the equations which I wouldn't have been able to do if it had been stored in a binary format. (Of course, the real moral of the story is to make backups!) I've used LaTeX ever since, both for research work and for creative writing. You say you like writing novels in your spare time. When I look at your web site and think about your having a seven year old son to take care of, I think you must have an odd definition of “spare time”. Are you still writing fiction, do you use LaTeX for it, and is any of it published or self-published (given what's possible these days with print-on-demand and Internet-base sales)? NT: My spare time is usually after Cameron has gone to bed, so I don't write as much as I used to, but I still enjoy it when I can. I haven't had any of my novels published. I did actually try getting one published, but the publisher asked me to send it in Word format. Unfortunately I was in a bit of a flippant mood at the time: I refused point blank, and I'm afraid to say I mentioned something about not wanting to aid and abet capitalist hyenas! I've thought about self-publishing. I've had a brief experiment with book binding. I typeset my grandfather's memoirs in LaTeX (I used the octavo class file together with psutils to make the signatures). I managed fine, until it came to actually fixing on the cover page. I put together a makeshift press, and after about four attempts I managed to produce one that looked vaguely straight, and I gave it to my Mum for Christmas a couple of years ago. I think it's the pride of her book collection, but next to her other books it stands out as a bit of an eyesore. I've been thinking about trying a print-on-demand company, but I've been a bit too busy lately. DW: I see on your web site a page listing a dozen and a half or so packages you have developed. How did you get into package development, and how do you decide what packages you are going to develop? NT: I think I started with the datetime package. I used it as an example in my LaTeX course. It was a fairly simple package back then, and I thought I may as well upload it to CTAN. The glossary package is another one that started life in a tutorial, but it seemed to take on a life of its own, and it reached the point where it was so full of fixes that I could no longer maintain it, which is why I've replaced it with the glossaries package. A large number of the packages on my web site were written to help Gavin with his teaching. When he first started as a lecturer, he taught a maths course, so I wrote the probsoln package to help him with the assignments, but his teaching was changed shortly after I finished it, so it didn't get used much in the end. Likewise, I wrote all the UEA specific class files for him, and various class files that generate forms, because he didn't want to use the Word templates that were provided. The crkscrsh class file was to help one of his project students whose project involved using a palm top device to keep track of cricket scores, but I don't think it's used since then. The two main packages that I wrote for my own benefit were the flowfram package, because I found writing posters such a pain, and the makedtx package/application. I can't remember why I wrote the csvtools package, but I found it very useful for mail merging when we moved, when I had to send a change of address letter to various utilities, banks and so forth. DW: I also see on your web site another page listing applications code in Java, Perl, etc., that relate to LaTeX. In addition to being a mathematician (with a strong statistical inclination it appears from your list of publications) and writer, you also are a computer programmer. Do you see any common thread running through these activities? NT: There's definitely a link between programming, LaTeX and mathematics. I think you need some understanding of maths to be a programmer, and LaTeX's excellent at typesetting maths, and in a way, LaTeX is a form of programming. As for writing, Lewis Carroll was both a mathematician and a writer. He wrote “Symbolic Logic” and “Game of Logic” as well as Through the Looking Glass and Alice in Wonderland, so perhaps there is a link between maths and writing, although I'm not quite sure what it is, my novels certainly aren't mathematical. DW: How about deaf awareness and British sign language, which I see from your web site that you are certified in. Does the way you think as a mathematician or programmer help in any way in this other domain, or it is really a quite separate type of activity? NT: I think it's a separate type of activity. The main reason I learnt to sign was because I had a profoundly deaf friend, but it's a useful skill, though I'm certainly not fluent in it. DW: I also see from your web site that your staff development course on LaTeX course at the university has been canceled for lack of interest. Do you have an explanation for this, e.g., a general decline in interest in LaTeX, or everyone already knows it? NT: I'm not sure really. I think that I might have scored a bit of an own goal when I put my tutorials on my web site, as it was soon after that that the numbers began dwindling, but I actually found the course quite difficult as I always had a fairly diverse set of people attending. I would have a group ranging from computer scientists to linguists and secretaries. The computer scientists by and large caught on quickly, as they were used to the idea of writing source code and then having to compile it, but for those whose use of computers was limited to word processors and spreadsheets really struggled. It's very difficult to pitch a talk at the right level when you have such a wide range of abilities in the same class. The drop in numbers also coincided with our move from Norwich to a small village, so I probably would have stopped anyway because of the problems in getting there. When we were living in Norwich, I could catch the bus to the university after dropping Cameron off at school, but where we live now, it takes nearly an hour to get to the university by bus, and the last bus that will get me back in time to pick Cameron up leaves at half past one, which wouldn't give me much time to do anything! DW: I suspect that TUG may have a bit of the same “own-goal” problem; because so much about TeX is freely available on-line these days (much of it supported by TUG), actual TUG membership for the purpose of getting its deliverables, TUGboat and the TeX software DVD/CDs, is not as useful as it once was. You and I first became acquainted (by email) when you were drafting your one-page statement on “What Is TeX?” for issue 2005-3 of The PracTeX Journal. Do you see what you said then being just as true today, or have you augmented or changed your view? NT: I think that I ought to have clarified a bit better that plain TeX is also a format of TeX, but other than that I'd still say pretty much the same. DW: You obviously have spent a lot of effort trying to make LaTeX more useful to yourself and others. How do you see the role of LaTeX in the world of word processing/typesetting and your use of it evolving in the future? NT: I would like to see more publishers using LaTeX, especially if the work is likely to involve mathematics. Fortunately most of the scientific journals and conference proceedings publishers that I have submitted papers to are TeX aware, although it's very annoying when they supply a class file that doesn't conform to their own guidelines. I think that more people from outside the sciences are beginning to use it, which is good. I'd like to improve my Java application JpgfDraw. I used it to create a newsletter for Cameron's school, and it turned out quite well. When he was younger, I used to write the newsletters for the parent and toddler group we went to, but back then I just used a standard one-column format. Many people seem to think that TeX simply can't be used for newsletters or brochures, but I think TeX is capable of producing pretty much any kind of document. DW: What development configuration do you use for your TeX work? NT: I use teTeX running on Linux with vim as my text editor. I've installed the vimspell plugin, so I can spell check as I type, that's the nearest I get to using a front end these days! I used to use MiKTeX and TeXnicCenter when I was teaching, but I've never been very keen on front ends. I did briefly play with plain TeX a few years ago, and I bought a copy of The TeXbook, which helped me gain a much better understanding of LaTeX, but now I mostly use pdfLaTeX. DW: Does pdfLaTeX in its current form (plus all the LaTeX packages and classes) pretty much satisfy your needs, or are you longing for LaTeX3, LuaTeX, or whatever, to become available? NT: I think that pdfLaTeX in its current form pretty much satisfies my needs, especially when used in conjunction with hyperref and packages like ifthen, xkeyval, pgf/tikz and graphicx (actually, the list keeps expanding every time I think about it.) Offhand, I can't think of anything that I'd really like to be able to do, but can't. DW: I see that UK-TUG has revived itself sufficiently that it is going to hold a 2007 AGM this coming October 22. Do you have a formal role in that revival? I saw that you gave a 124-slide workshop at last year's meeting on Writing a Thesis in LaTeX? NT: No, I don't have a formal role in that revival (I only became a member of UK-TUG last year) but I'm glad that it is reviving, and I hope the UK-TUG membership continues to grow. I enjoyed last year's Living and Working with LaTeX Workshop, and it was good to see so many people attending. It was interesting meeting people from so many diverse backgrounds, and I think the informal sessions were a good way to find out about the type of things the participants were interested in knowing how to do in LaTeX. I don't know if UK-TUG had much feedback, but I hope that the participants enjoyed the day and found it useful. It certainly seemed very successful. DW: I have one more query, that is sort of personal, but I hope you will address it anyway. You have a PhD; looking at your list of publications, you are obviously involved with a lot of research; and your courses and tutorials indicate that you enjoy teaching. Do you aspire to move more formally into the academic world once your son is older, or do you feel that your current mix of home life, connection to research and academia, and systems development work (e.g., with LaTeX) will satisfy you over the long run? I have, however, been very conscious of how difficult it is to get back into research after a break, which is why I have always tried to keep up my research activities. Gavin and I work very well together — our skill sets are approximately orthogonal! (He can do bits I can't do, and I can do bits that he can't do.) Now that Cameron is at school for longer hours, I have more time for research work. Ideally I'd like to continue working from home, as it's reassuring to know that if the school do have any problems with him, I'm just round the corner. Also I see so many parents who spend their whole life in a mad rush: rushing to school, then rushing to work, back again to pick up the kids, it surprises me that they manage to get any work done at all! DW: Thank you very much for participating in our interview series. It has been a great pleasure to learn a bit more about you and your activities, and I plan to spend more time scouting around your web site looking at all the resources you have posted there. I hope to meet you in person at some point; perhaps we will both be at TUG 2008 next summer in Cork.